Fiskardo takes you to the northern tip of Kefalonia and offer a beautiful harbour full of fishing boats, luxury yachts, and pretty pastel buildings. Backed by rolling green hills full of olive groves and local farms, it’s a star-studded town where you can enjoy excellent cuisine, and some fantastic shops and bars. Couples will love the relaxed, upmarket feel of the town, with ancient ruins to explore, as well as pretty bays where you can take in views of the clear waters as you dine on classic Greek cuisine. If you enjoy walking and hiking, there are opportunities to take in the beautiful landscapes, with forests and little bays as well as coastal paths to explore. Alternatively, find your own secluded pebbly bay with calm waters ideal for swimming. The town itself is ideal for strolling, with its Venetian architecture and pretty pastel buildings just waiting to be explored. Luxury holidays in Fiskardo come as standard. It’s a pretty, secluded town where you’ll find an excellent selection of restaurants and some celebrity holidaymakers to boot. When it comes to shopping there are little boutiques, with bars where you can relax with a cool cocktail, or glass of fine wine as you listen to live local bands. It’s often called the St Tropez of Greece because of its luxury yachts and fantastic facilities. When it comes to choosing the right hotel for your luxury holiday in Fiskardo, speak to one of our Trusted Advisers who will take the time to get to know you before recommending one of our selection. The Emelisse Art Hotel has beautiful gardens, stylish buildings, and comfortable surroundings with excellent activities on offer, as well as a selection of restaurants to choose from. 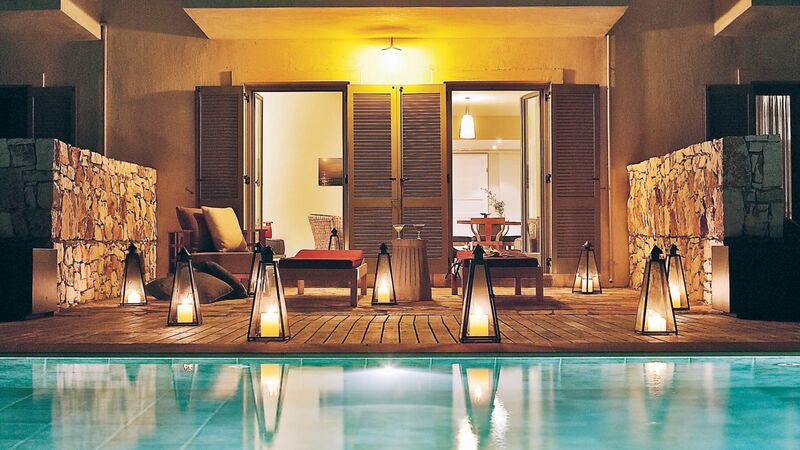 The spa is the perfect place to relax, while the terrace is ideal for evening drinks and freshly made pizzas. Transfer time from Kefalonia airport to Fiskardo is 1 hour 30 minutes.